The Isle of Purbeck is a beautiful peninsula in the Dorset county, surrounded by the English channel on one side and the river Frome and Poole Harbour on the other. Here is where the Jurassic Coast starts, with its abrupt cliffs and rock formations. I am lucky to live right here, in the historical town of Poole. Yesterday I took advantage of the good sunny weather and, after finishing helping moving to our new office, I decided to go for a bike ride around the area. And where better could I go than exploring the Purbecks? I’ve set my phone to record my ride and started the challenge. I only knew the route for about half of the journey, but I thought I would manage just fine by following the road signs. I left Poole through Upton and headed over on the bike route towards Wareham, the first town in my journey. The roads were empty, there was just a bit of traffic until I reached the crossroads with Sandy Lane, in Upton. From there, all the way to Lytchett Minster, a tiny village on the way, it was quiet. There was a bit of wind but nothing to powerful to stop me going with about 20km/hour. I was looking forward to pass the Holton Heath forest, as usually there are deer alongside the road, but this time there was none. Just a lonely horse looking at me with curiosity when I stopped to drink some water. The bike path to Wareham is pretty well done, with just around half a mile going on the actual road, due to the lack of sidewalks. I was a bit scared, as this is a pretty busy road, quite narrow, with a speed limit of 60mph. If there is traffic from both sides, a cyclist can not be overtaken, which makes some drivers anxious and impatient. And as a result, they will either speed while overtaking, or come really close to you, almost pushing you into the bushes from the side of the road. It took about an hour until I reached Wareham, a small town on the river Frome. 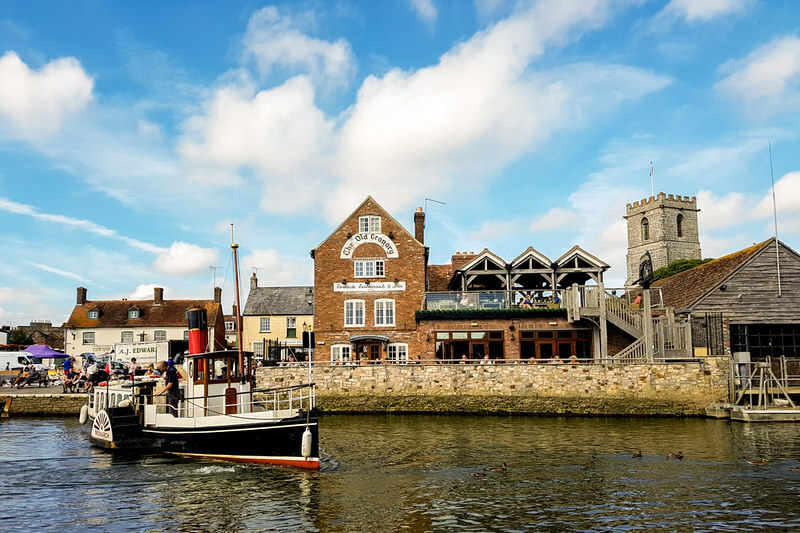 In summer, there are daily boat trips from Poole to Wareham, with plenty of time to explore the town and have lunch here. Wareham dresses in flowers each summer and has a lovely riverside promenade, where I stopped for a while to rest and have a boost of energy from a KIND snack. For me it is very important to eat as healthy as possible and KIND bars are exactly what I am looking for in a snack: tasty, low in sugar and high in fibre. They are made out of whole nuts and fruits bound together in honey and they contain about 40% less sugar compared with similar snack bars. More, the KIND snack bars are gluten-free, making them the perfect option for people who suffer from celiac disease. In the UK, the KIND snacks come in two delicious ranges: Nuts & Spices (Dark Chocolate Nuts & Sea Salt, Caramel Almost and Sea Salt, Maple Glazed Pecan & Sea Salt, Madagascan Vanilla Almond) and Fruit & Nut (Peanut Butter and Dark Chocolate, Almond and Coconut, Cranberry Almond and Macadamia Nuts, Dark Chocolate & Cherry Cashew). I chose to taste first the Almond and Coconut bar which pleasantly surprised me with its softness. The taste is very coconuty and combined with the almonds, reminded me of marzipan. How cool is that, to have a snack bar that tastes like marzipan? I found the flavours to delicate complement each other, with a nice sweet aroma and, if you are a fan of coconut, like me, you will love it. The second KIND bar I tried, before getting back on the road again, was the Dark Chocolate and Cherry Cashew one. Cherries are my favorite fruits so I was quite excited to try this bar. And I wasn’t disappointed! The cherries blend perfectly with the rich chocolate. Cashew are my favorite nuts and they are packed with antioxidants, minerals and vitamins. They are a very good source of energy, same as the dark chocolate, perfect to keep me going for another 5 miles, until Corfe Castle. Overall, I didn’t find this bar to be very sweet. I left Wareham behind and, after about 200 meters on the main road, I took a left and turned towards the Arne Natural Reserve. This road is a bit longer but safer as not many cars pass by. I did however got the wrong turn towards the Corfe Castle and I had to go back. I didn’t get discouraged, consulted the Google Maps for a bit and soon enough I was on the right path again. The road passed through a forest before opening up through fields of purple flowers. This is when the terrain started to elevate and I had to put my muscles to work harder. It wasn’t that bad though, not at all compared with what was about to follow. I was enjoying the ride and I was happy that I chose to do it. It was just me and the nature, and the odd car passing by, from time to time. Not very often though. Soon, I managed to see Corfe Castle at the horizon and I knew it wasn’t long until I will reach it. 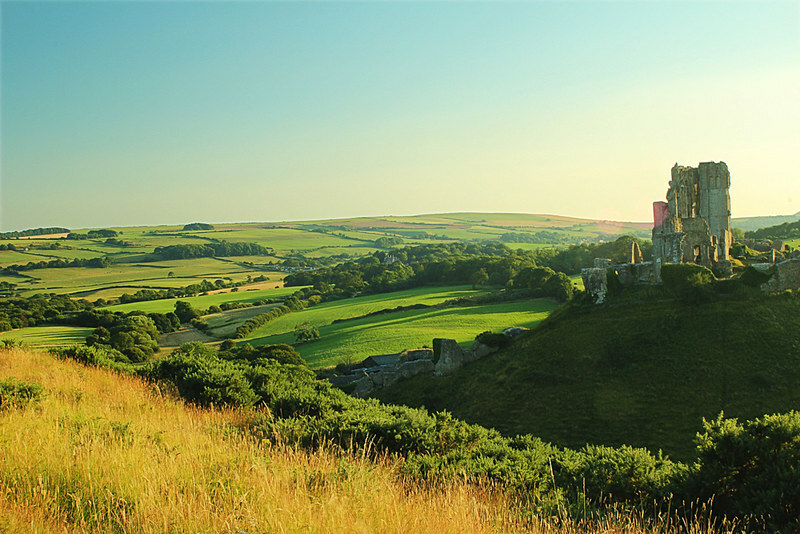 Corfe Castle dates back in the 11th century and is one of the first fortifications to be built using stone, while the other castles in Europe were still made out of timber and earth. It stands above the village with the same name and, unfortunately, today we can only see the ruins of what this castle used to be. The road passes underneath the hill it is built on and surrounds it in a steep half loop. The Castle belongs to the National Trust and can be visited. I stopped at the pub near the entrance, to rest for a bit. The weather was lovely, not a cloud on the sky and, from the pub garden, the view over the castle was beautiful. I felt that I needed a bit more energy, without knowing what was waiting for me on the next leg of my journey, so I opened the Peanut Butter and Dark Chocolate KIND bar. Peanut butter is a great source of protein and magnesium, while dark chocolate is an excellent antioxidant. 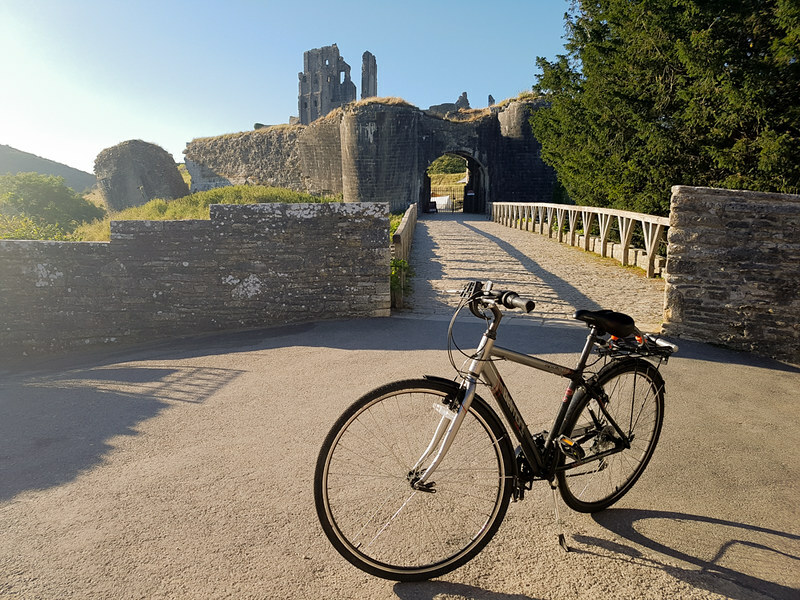 I left Corfe Castle following the road towards Studland. I knew there was an off-road shortcut somewhere around, very fun to do and all downhill but I could not remember the exact location. So I thought I should stay safe and just follow the road. At the beginning it was up and down, more up than down but still, there was time to rest in between climbs. But all of a sudden, the road started to curve, and after each corner all I could see was more elevation. There was nowhere to stop and rest. The road was narrow and curvy, if I stopped the drivers coming behind could not see me, so I had to push myself harder and harder. My knees were in pain and my muscles aching. “One more step, just one more”, I kept telling to myself, while the bike barely moved. I continued to climb the hill thinking that it will never end. I had the power however not to get off the bike, it was a challenge that I had to succeed. And I did! The reward was an amazing panorama over the entire Isle of Purbecks, from where I could even see my home. It was all worth it and once on top, even if I could barely stand up due to the pain in my knees, I felt proud of myself. From here, the road down the hill was so much fun! I managed to reach a speed of 53km/h while letting the bike lead me to the ferry. 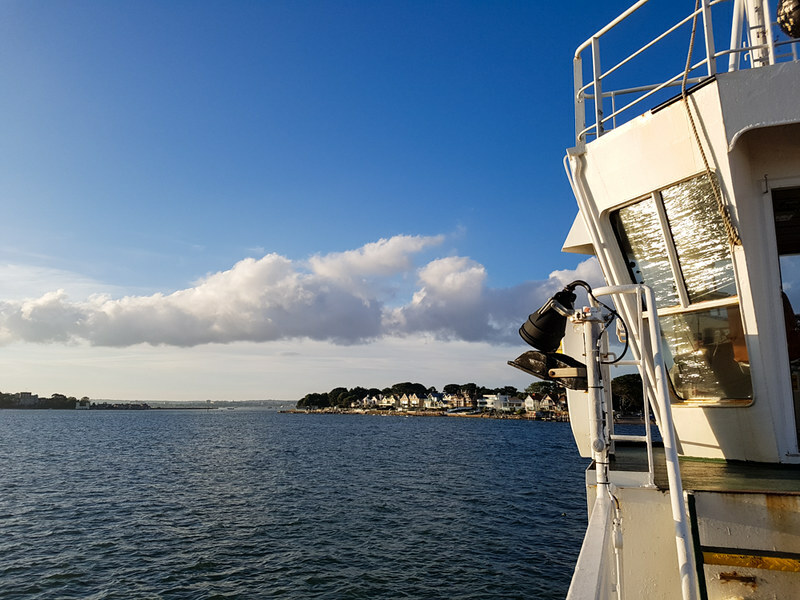 Studland, a natural protected area, is connected to the other side of the land, Sandbanks, by a chain ferry. The price for a crossing, for passengers and bikes is only £1. The advantage of being on a bicycle is that you don’t have to wait in the queue of cars, you can simply bypass them and go to the front. The crossing only lasts for 5 minutes. Off the ferry and straight home: only 4 more miles to go and one hill to climb. I stopped to take a photo, as the sun was preparing to set, over the Poole Harbour. 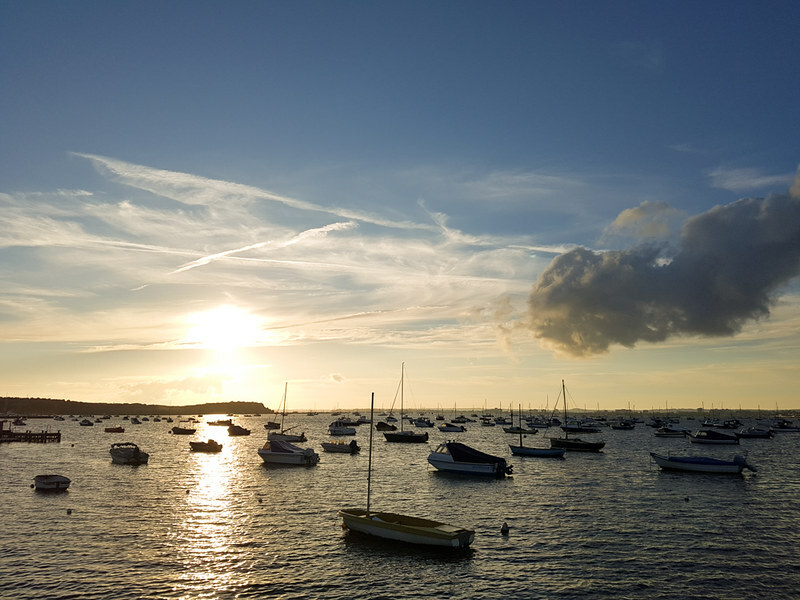 Did you know that Poole Harbour is the second biggest natural harbour in the world, after Sydney? Disclaimer: Please note that I received the KIND snack bars for free to review them. However, all comments and opinions in this article are my own. Wow! It’s awesome to be able to bike at such a lovely place filled with beautiful sights! It’s important to take snacks with you too but not so heavy ones! I really think these bars are perfect! Wow! What a ride! Your photos are beautiful. I love fruit and nut bars and as I sit here on my computer with a cuppa tea I am drooling for the Almond and Coconut Bar! Do you know if they are sold outside of the UK? Wow you had a long ride! By the way I love the pictures. Good thing you have those Kind bars with you and they look delicious and healthy. I’d like to try some too when I ride a bike here. They have unique flavors, I cant imagine what they taste like but I’m sure they’re delicious! these snack bars look (and sound) really yummy! but there’s still added (refined) sugar in them, right? i’m on a no sugar diet so i guess i probably can’t try them out. it’s great that it’s gluten-free though! not that gluten is bad for us, but it’s always good to have more food choices available for the minority (gluten-intolerant). and i’m quite confused on the part where you mentioned a cyclist cannot be overtaken when there’s traffic on both sides. is it a stated traffic rule, or is it in terms of practicality? Sorry, obviously a non-driver here. Also really appreciate the review of the snack bars – I had never heard of these before, but you really sold the cherry cashew/dark chocolate one 🙂 I’m going on a canoe camping trip soon and will try to pick some up! What fabulous scenery and the description of those KIND bars has made me hungry. I’s about to dash out and they sound like the perfect healthy on the go pick me up! I had a sense of nostalgia reading this post because I went to Purbeck on a year six trip and it was beautiful. We visited Corfe Castle as well which was an incredible experience. I think all the places you’ve mentioned can be found in Europe. It wasn’t clear for me from the start. Anyway, the place you’re living in looks stunningly beautiful. You’ve also taken gorgeous photos of it. How I wish I can ride a bike there too and see your place. What a nice ride and something to eat along the way, I love the Almond and coconut bar it’s super tasty. If ever I would have a chance to taste them all, I would definitely do that, I was surprised as well when I saw the ingredients, it offers a lot for a snack bar. It seems like a great cycling tour! I rarely cycle. But it’s impressive you biked this tour. Love your pictures. I haven’t heard of KIND bars before. It’s nice that you brought a healthy snack on your way. The pictures look amazing. Awesome trip! cycling is something i enjoy watching people do but my health issues will not allow me go through with it. great images. Oh what a lovely outdoor adventure! I just love the picture of the road passing through the forest. I wouldn’t mind cycling in a place like this as well. Looks like you had a blast, and who wouldn’t when the sights are as lovely! It’s good that you have snacks with you along the way. Those KIND bars look very delicious and are defo something I would eat. On a side note I do not know how to ride a bicycle so this is something I need to do so I can explore in a different way. 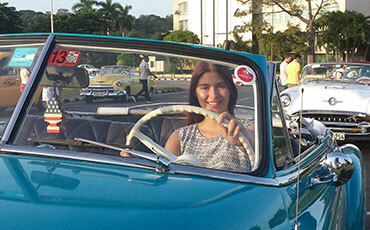 Hey Joanna, thanks for sharing your wonderful biking trips! You’ve got awesome photos and very engaging story. I suddenly craving for KIND snack, hope it is also available in the nearest Aussie grocery store here. What an adventure you had! Biking in nature, and visit some amazing places, is something I’d love to do. The KIND bars are not only look delicious but contain healthy ingredients, and have so many benefits. Those bars sound really good! I need to try a few flavors. Scene is fantastic, Joanna, and doing 49 kilometers is not as easy as you made it out to be, at least for me. The great thing is that you brought along the perfect snacks for you to accomplish this journey. The more energy used, the more nutrients are needed. 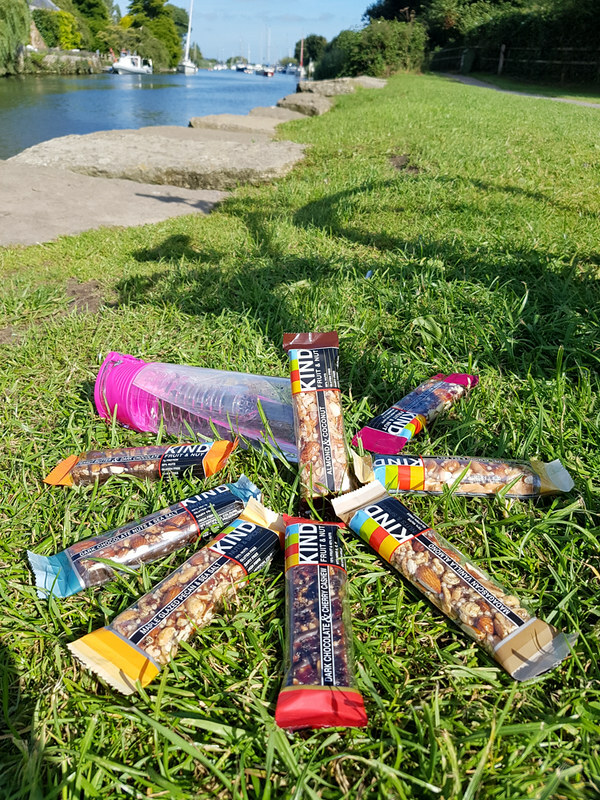 Snack bars like KIND with lower sugar becomes the easiest food to carry with you as it gives you the nutrients you need, at the same time, allowing you to enjoy the beautiful scenery. I haven’t tried cycling. That place looks great for your journey, stay safe on the road! Seeing these lovely pictures makes me want to grab my bicycle and start cycling right now. this is an amazing view indeed. Lovely description! I can’t stop looking at the pictures. Carrying snack bars is a nice idea. I would love to have a bicycle tour! I don’t have a bike so I would need to go for holiday and rent one there. To be honest those Kind bars are my favourites 🙂 I’m a fan of snack bars with loads of nuts. Nothing more exhilarating that a good old bike ride and thus looks like a lovely route! Wow! That’s a bike ride I would love to take. Sounds so pleasant. And those views are just beautiful! I love Kind bars! Yum!! What a gorgeous place to ride a bike! I’d love to see castles on my bike ride. Thanks for sharing and for posting such great photos! Oh my goodness, this looks absolutely gorgeous and so peaceful! Definitely adding this to my bucket list. Thanks so much for sharing! Years ago, I lived in Brighton and explored all around your neighborhood. But, not on a bike! What a beautiful way to enjoy the lovely English summer! I remember that ferry! We visited Dorset last year for the first time and we stayed in Swanage and crossed the ferry ( and waited in the very long queues some days) many times. It is such a beautiful part of the country, you are very lucky, I definitely want to go back again. I like KIND snack bars too. It was amusing to read an ad for them in the middle of an article about cycling. The photos in the article were very pretty. I don’t know how to ride a bicycle but I’m sure I would enjoy to spend a day in the lovely English countryside. Wow that looks like a perfect route. I’m a bit of a disaster on two wheels but seeing blogs like this really makes me want to get out and try it again. Esp if there are some yummy treats like that to take on the journey!! Well done for getting all the way up the hill! I would have definitely got off the bike 😉 Looks like those snack bars were pretty good fuel for you though! That looks like a lot of fun! I haven’t heard of KIND bars before, but they sound just like what I need. Thanks for sharing! This is so like me! I use endomondo to track my route while cycling and this is the most amazing way to explore the city you are in. Wow looks like so much fun! The views are scenic.I would love to go there someday.The bars look delicious too! Chocolate and bike riding sounds like a great match! Wow that was a long ride. Good exercise. Good you had light snacks with you too. Woooow! That view is awesome! I would want to learn how to bike if this is the view 🙂 You take great pictures love it! I hope I can visit this place too! What a pretty route, Wareham looks gorgeous. Could do with one of those cereal bars right now, love bars like this as they are easy to carry around on the go. My son and I owns a bike too and he loves to go biking with me every morning. Unfortunately, I can’t go with him everyday since I am busy at work. But I always make sure that I can go biking with him during weekends. It is such a wonderful way to go bonding with my son. Scenery looks gorgeous. And snacks sound delicious. I always pack protein bars when i go to the nature too! What a picturesque area to live in. I think if I lived there I would also be tempted to bike more. It sounds like such a pleasant and relaxing day taking in all the sights. Looks like you had an amazing time. I love the Strava map so I can see big picture how long your ride was 🙂 How cool! This post has inspired me to get my bike out the garage & cycle again! I absolutely love your photos too, such a beautiful place to go for a ride. 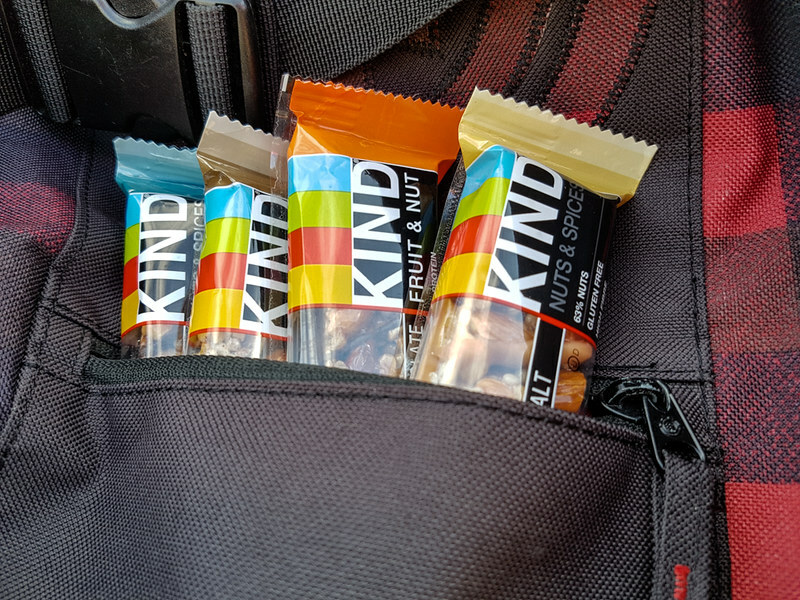 I’ll be looking into getting Kind Bars as they seem the perfect snack for my hiking. I really enjoyed your post, can’t wait to read some more! You go girl! What an amazing bike ride! I’ve never been there, but biking around sure seems like a great way to get the full experience! 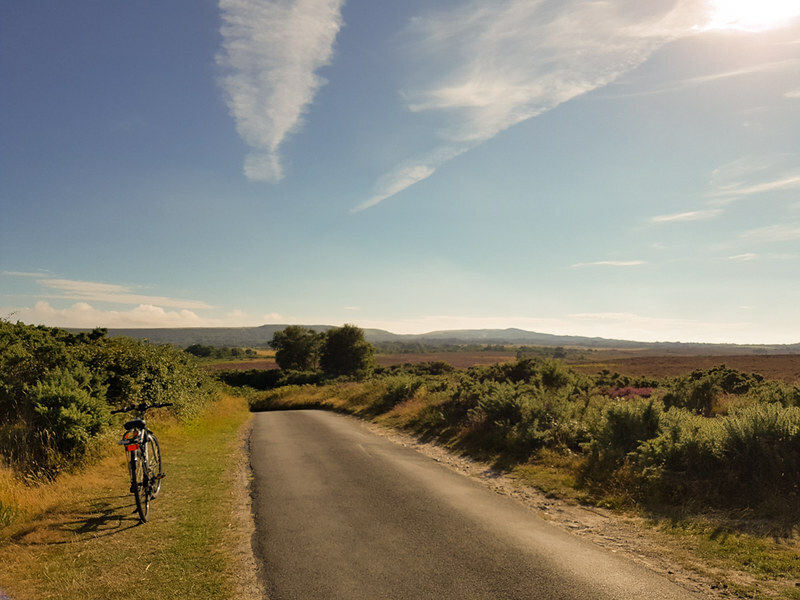 I love Purbecks and I want to also try biking there once I get a chance to travel there again. Anyhow, your photos are awesome! Such a lovely view. I have always wanted to try cycling around a place when I travel. I have only done it once and it gives such a different experience. Keeping you healthy, and unlike walking, covers more ground. Thanks for the post. I am inspired to cycle even more now. 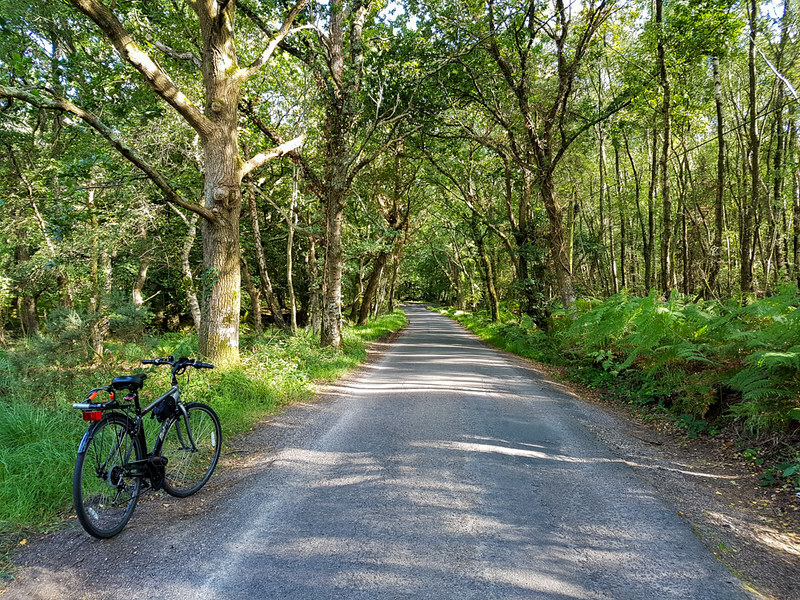 What a picturesque spot for a cycling holiday, Joanna. The castle looks grand and the countryside is so peaceful. How lovely. What a lovely bike ride. You got to see some amazing views. The bike trail looks so lovely. Must have been a super fun experience and I have tried KIND bars! They are yumm! I love cycling amd this looks such a lovely place to do bicycling. I feel a very relaxing feeling in the ambiance of this place. What a gorgeous place to go cycling. All the pictures look lovely. And it is good that the Kind snack bars were there for you to give you the proper nutrition when you wanted. I would love to go bike riding with these views. Kind bars are so yummy too. Wow what beautiful photos! the scenery is breathtaking! Those kind bars look lovely, never seen them before! Well, first of all, the place is really amazing and I actually wouldn’t mind exploring it the whole day just to embrace the kind of beauty it offers! gosh, it has been awhile since I last go for a bike ride and you just gave be what to do this weekend and like you, i always arm myself with snack bars! It is a perfect way to get the right amount of energy you need! Cycling is one of my favorite sports! And it should be awesome with those views. Gorgeous scenery! I love carrying a few Kind bars and bottles of water with me too for those times when I want to stay hydrated on a lengthy trip. Goodness gracious what a gorgeous trip on bike. I need to cycle more because I miss out on a lot of sightseeing. That was an epic bicycle ride and the terrain looks so beautiful. Your pictures bring alive the whole experience. I am sure the energy bars provided the much needed energy. I love KIND bars, my favorite is the dark chocolate with sea salt. Those pictures are amazing! I’m always interested to hear about new snacks to help me recharge after exercising. Will have to check these KIND bars out, all those different flavours sound amazing! Great locations you have cycled, and I am sure those yummy KIND bars are handy when one gets tired. Looks like an absolutely beautiful place. Other than a one week stay in London several years ago I have yet to visit the UK and I would really love to one day. So much to see and so much history. Love your photos. Those KIND bars seems so practical and light! The perfect snack for people practicing sport!!! Fantastic scenery and what a great way to go out for an adventure. I like this kinds of stuff. Continue sharing this one of a kind adventures. So the most I have ever done on a bike in 1 day is 10 miles. This seems like a good ride for me to work towards. I like that there is only that half mile that you have to worry about cars. I would probably do a lot more stops than you did, the scenery looks so lovely. Thanks for sharing. I am always on the lookout for healthy snacks. I will have to try the Dark Chocolate and Cherry Cashew one first. I love Kind bars! It looks like you had a gorgeous ride. Cycling through the Purbecks looks very scenic. I would love to do that! I like the Kind Bars too! Weather, food, scenes… all seem so perfect for a cycling tour! I would love to do this. A similar cycling tour I did was in Sukhothai in Thailand. I’m really not sure I’d survive such a ride, I am terribly out of practice. But it all looks so beautiful, I’d like to at least try! Your photos are absolutely amazing, by the way. I must say I read the post twice, I liked it a lot honestly, plus the pictures truly transport you there. The greens are so awesome, I particularly liked the one with Corfe Castle in the distance, pretty amazing! This is how I would love to explore England. On a sunny day, take an unhurried bike trip. About 50km per day would be ideal. This way, it would be enough time to stop for pictures and lunch. This is still a dream, though. The UK is not on my list for another couple years. Nevertheless, I’ll keep your post as a reference to possibly add the Isle of Purbeck to my visit. What a great post! Truly inspiring. I cannot ride a bike, but I found this truly motivating to get back on a bike. Thank you for sharing this! I love the photographs as well. I have never been on a cycling trip like this before but it looks like it would be such a good time. All of those views are absolutely gorgeous. My family and I love biking and Purbecks looks absolutely lovely! 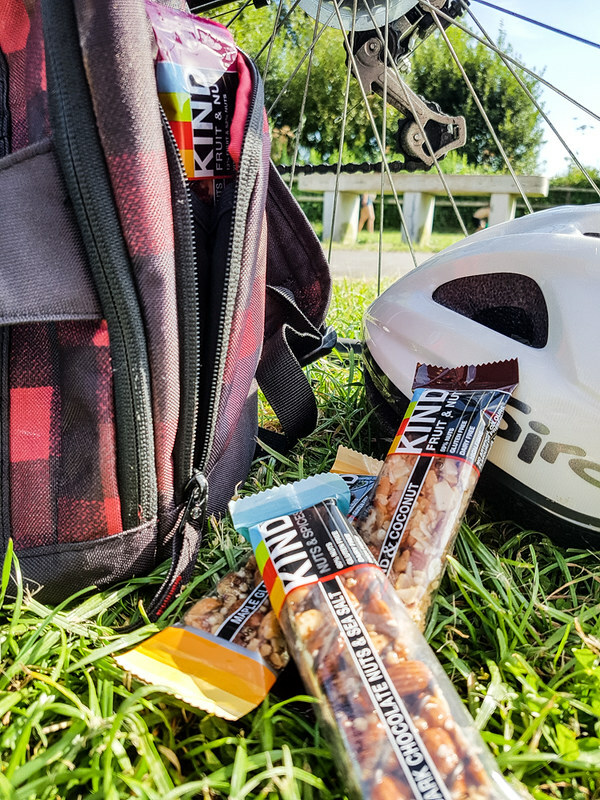 Kind bars are so delicious, best snack to take along during a ride! I recently moved to Düsseldorf Germany and have been seeking out great riding destinations in Europe. I brought my road bike with me from the USA and have a crate for it to fly with me, so Poole might have to come up soon on that list. Thanks for sharing this! I love the pictures. This looks like such a great place to visit and expecially bike. I’ve never been that far down South, need to schedule a trip to Dorset next time I’m back in UK! Also I’ve seen those snack bars here in Dubai but only in a few flavours, need to track down the others – they look yummy! What beautiful photos you have. It looks like a stunning area to visit and certainly to bike ride through. I must admit I also get very scared riding on the road but good to hear there are some bike paths available in places. What an amazing scenery! I wold love to go on a bike ride there! I also discovered how delicious those kind bars are! Ah, reading this reminded me of Katorse, my foldable bike, which was stolen while I was traveling around India. Anyway, such a scenic route! I could imagine the thrill! You must be exhausted afterwards! What marvelous places you’ve shared here! I would instantly hop on to the next plane at this moment just to visit that fantastic castle, and of course I wouldn’t mind packing my bag with Kind treats! The wind there must be so soothing and cool. This is the first time I have heard of Purbeck! And yet we weren’t even that far away this bank holiday weekend (New forest). It looks lovely and i am popping it on my weekend wanderlust list. Thank you for sharing! These are really awesome photos Joanna. What camera are you using here? They really have good quality. The sceneries are also breath-taking and the whole place looks so fresh and clean. Here in the Philippines, as much as we’d love to bike around the city, we’re all risking our lives with the jeepneys and reckless drivers plus the pollution. I’m sure you would have had so much fun while riding the bike and exploring this beautiful landscape! In my last few trips too, I have also rented the bikes and explored the places on my pace! It was fun! Oh wow this trip looks amazing. I cycled the length of Vietnam this year and now I’m eager to push the pedals somewhere else! Man, you’ve made me want the dark chocolate KIND bar now. We have a great cycle route up here in Scotland, Fife Coastal Path, if looking for inspiration!